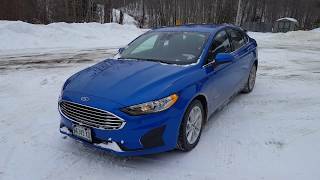 This is rental car number 117 and today I'm driving the 2019 Ford Fusion Hybrid SE. There's more details below, but I just wanted to quickly say ~thank you~ for watching my video. Please comment below and share your thoughts. Or just take a second and say 'Hey'. I'd love to hear from you. Cheers! Handling: Super comfortable. 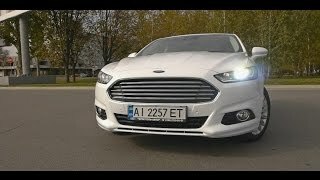 I was extremely impressed with how stable the Fusion felt going around long curves. Acceleration: Not great. The car is responsive, but it takes a while to get up to 60-70 mph. Don't expect to be the fastest car on the road. Cabin Noise: Amazing. This is one of the quietest rentals I've had in a while. 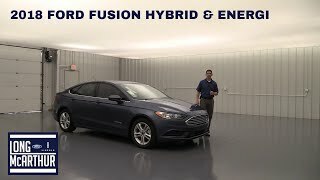 I'm impressed with the Fusion Hybrid and I mean that sincerely. 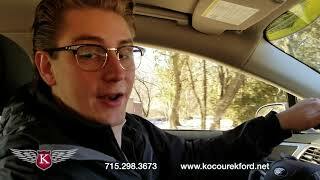 The ride is smooth, it gets great gas mileage, and its got up to date technology. 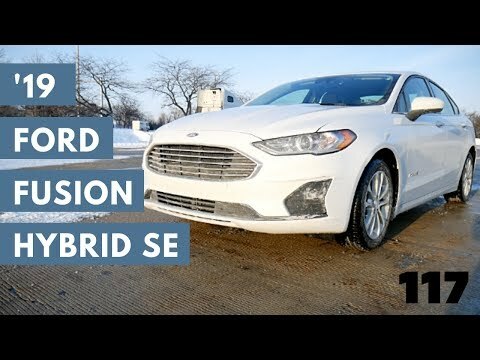 Honestly, there's not much to dislike about the '19 Ford Fusion Hybrid SE. 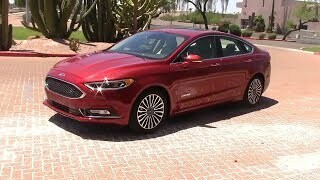 I'd seriously consider buying this one and I'll be excited if/when I get the rent the Ford Fusion Hybrid again. Hello! 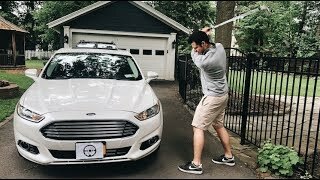 I got stuck at work the day I had the Fusion and only had 20 minutes to film the car before I had to return it. I hope I didn't seem too rushed, but I had to do most of the review in one take. It was....interesting. Usually I take about an hour to film everything. Anyway, I hope you enjoy this one as much as I did. Cheers! 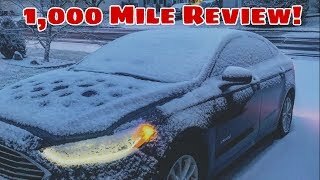 100 Rental Cars i did enjoy this video it was great anyway the enterprise branch where i rent at had a few of the cars on their lot stolen I suspect it’s because they have a key drop box for after hour returns and they don’t have a gate so the theives might have rummaged through the keys in the dropbox what do you think? There actually is a physical key; it's inside the fob and is pretty much just for opening the door if the battery dies. Really? Thanks, I'll check that out next time I rent this one. Don’t need to charge it? Nope, it's a hybrid. Not a plug-in. It has batteries, but they're charged by the gas powered engine. I got this as my rental car. I thought I couldn't start the car due to no engine noise, and was surprised to see the car moving forward. I prefer a shift stick than the wheel and a physical handbrake. Not keen on how it drives, feels slow and heavy, but inside the cabin it is nice. Ha! I'm glad I'm not the only one who made that mistake. I seriously turned the car on and off three times before I realized it was "on". It's so freakin' quiet, right? Anyway, thanks for sharing! Is there an option for remote start ? 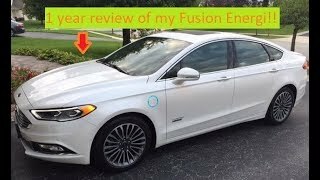 I’ve always liked the Fusion, even being a Chrysler fan, it’s a shame that ford is killing it off. This was a very in depth and informative video. Are you going to the Chicago Auto Show? Thank you the review. Any chance you'll be comparing this with a Camry Hybrid? What rental company did you rent from ? 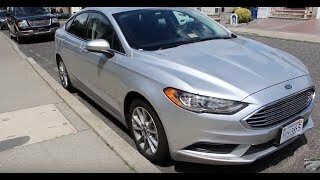 I've always wanted to rent a fusion and never got the chance. I know you said that the car isnt fast (not the purpose of a hybrid in the first place) but do you think its adequate for highway passing and merging on to 70 mph roads? 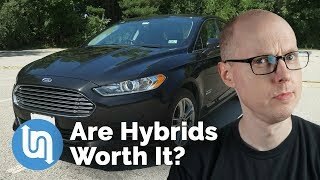 TLDR: Fusion Hybrids are good for the condition you listed. 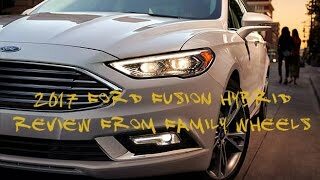 I have the first Fusion Hybrid, and mine does fine. You’ll find more of an issue in the city, because when the car switches between the gas motor and electric motor, there’s a little stutter. But also, because I still have my original Fusion, the battery’s been almost depleted, but I still find that same stutter, even though it uses the gas engine more. Maybe it’s been improved, but relying on the EV motor can be more of a problem in the city. I noticed that early on, so I decided to accelerate quicker, and then hover above idling (EV range), so that I don’t get that stutter as often, and still get decent gas mileage. Of course, my areas I drive may not be similar to your areas, so keep that in mind. In comparison, my mom’s Prius (newer car than mine but older still; I don’t know the year) is slower, lacks torque but is a more consistent drive. There are no stutters at all. And to be honest, I’ve driven my mom’s Prius on the highway, and it’s not bad. Now, it’s not comfortable at all lol. I’m only 5’11”, and it feels super small, but, you know: pick your poison. I love gear shift knobs. They're logical considering most everything else, besides some steering column features, is controlled by turning a knob. The L stands for "low gear". When you put the car into this setting, it keeps the transmission in low gear rather than automatically shifting upwards. It's useful when driving in snow or icy conditions. +Mike Skinner They're keeping it for at least one more year. They just brought out the Sport and Police Responder Hybrid models, and they just restyled it for 2019 as well, so they're probably trying to make sure they didn't waste money or time on it. Really? I've seen a few on the lot recently. I'll try to grab one in the next few weeks if I can. Nice! 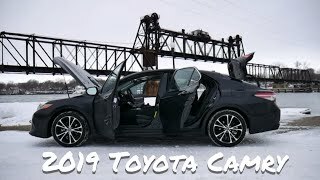 I’m in a 2019 Toyota Camry SE with only 500 miles. Gotta love enterprise! Ochoa305 Avis is just as good if not better then Enterprise. 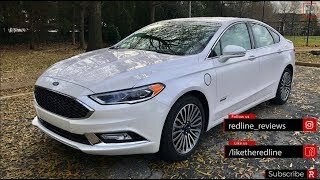 I rented 2 2019 Fusions while in Orlando this past December. One was a SEL trim which is a new trim for 2019. The SEL only had 7 miles on it so I was the first renter. 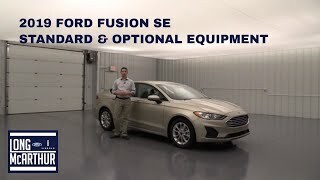 The second fusion I rented was a 2019 Titanium eco-boost AWD with only 2,300 miles on it. 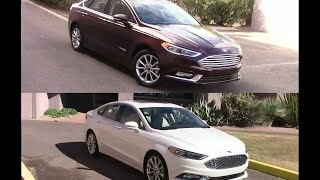 I really enjoyed them both and the Fusion is always my go to car. 100 Rental Cars It was Alamo this time so I got to pick the car out of a line of Full size cars. 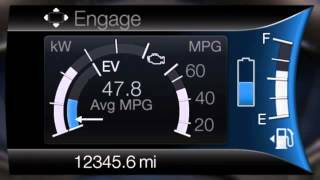 They also had 2019 Camry SE’s with only 9 miles on them. But The SE’s Camrys are pretty basic compared to Fusions. So I always try and rent Fusions. 7 miles?!?!? That's unreal. They must really like you. 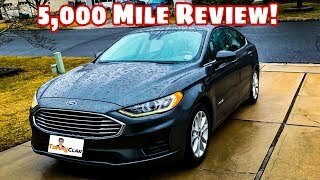 1,000 Mile Review On My 2019 Ford Fusion Hybrid! 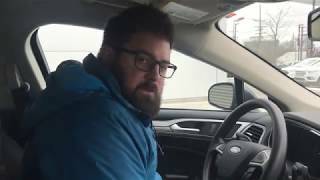 5,000 Mile Review On My 2019 Ford Fusion Hybrid! 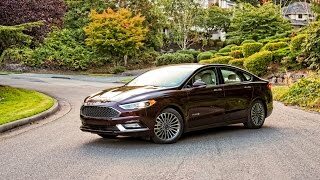 2019 Ford Fusion Energi – A Dying Family Sedan? 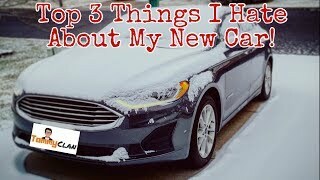 The Top 3 Things I Hate about My 2019 Ford Fusion Hybrid!